* Inhalant statistics show that inhalant use by 12 and 13 year olds is a marker for future drug use and delinquent behavior, according to a report by the Substance Abuse and Mental Health Services Administration. The data in this report was extracted from the 2002 and 2003 National Survey on Drug Use and Health. Youth ages 12 through 13 who had used inhalants were six times as likely to have stolen or tried to steal items worth more than $50. * The data in the report by the Substance Abuse and Mental Health Services Administration shows that 35 percent of persons ages 18-49 who initiated inhalant use at age 13 or younger were classified with alcohol dependence/ abuse or drug addiction in the past year. This contrasts with 10.1 percent of persons who had never used inhalants. * Using averaged 2002 and 2003 data, the report Inhalant Use and Delinquent Behaviors among Young Adolescents, shows 8.6 percent of youths ages 12 or 13 had used inhalants in their lifetime. * Inhalant statistics note that the most popular product category for inhaling was glue, shoe polish, or toluene. The National Institute on Drug Abuse (NIDA) points to a recent study finding that toluene produces euphoria through the same mechanism that promotes euphoria in drugs such as cocaine, amphetamines, or PCP. * “The survey data by the Substance Abuse and Mental Health Services Administration shows that youths ages 12 or 13 were more likely to use inhalants than marijuana in the past year”, SAMHSA Administrator Charles Curie noted. “Parents need to be aware of the immediate, potential danger to their children from the misuse of common everyday household products. Our Strategic Prevention Framework grants are helping states and our Drug Free Community grants are helping communities support the services families need to prevent substance abuse." * Inhalant statistics reveals that “huffing” is the 3rd most abused substance by teenagers and is an increasing problem in today's society. According to the National Survey on Drug Use and Health (NSDUH/NHSDA), "inhalants had the youngest average age at first use (16.0 years)" and "75% of recent initiates were under 18 when they first used". * A similar study done by the National Survey on Drug Use and Health in 2002-2004 showed the following statistics on who is more susceptible to start using inhalants. * Inhalant statistics reports that one out of five students in America has used an inhalant to get high by the 8th grade. * Fifty-five percent of the deaths linked to inhalant abuse are caused by Sudden Sniffing Death Syndrome, which can occur on the first use or any use. 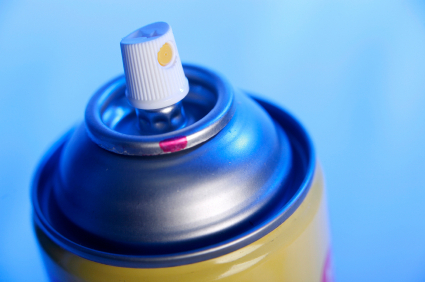 Suffocation and vomit in the lungs are two other contributors to death by inhalant use. * Inhalant statistics show that twenty-two percent of inhalant abusers who died of Sudden Sniffing Death Syndrome were first-time users.